​In an effort to define and improve communication with the membership of the British Columbia Chapter of The Wildlife Society (BCTWS) and provide direction for future goal and objective setting, the Board of BCTWS surveyed members in the spring of 2018. The 30-question survey was open from 17 March until 17 May 2018. The survey included questions relating to membership, meetings, political involvement, chapter communications, meetings, and career; select results are summarized below. As a quick caveat, we are wildlife biologists and not social scientists and realize (in retrospect) that a number of questions and their available response could have been improved. Regardless, this was an insightful exercise and we appreciate the time and effort members took to complete the survey. You can view the full surveys results at this link; apologies if anyone’s comments/opinions were overlooked in the below summary. Twenty-four members responded to the survey, reporting their career levels as: intermediate (33 %), senior (25 %), or student (21%), with fewer at the entry level or retired (8% each). Respondents work for government agencies (35 %) and academia (26 %) with representatives from private industry, consultants, grant recipients, and non-governmental organizations. When asked about what they looking to get from their membership and participation with BCTWS, members indicated that they are involved with the BCTWS predominantly to increase opportunities to meet, interact, and share information with other BCTWS members, to be better informed about provincial issues, and encourage evidence-based decision making throughout the province. A majority (92%) of respondents felt it was appropriate for the BCTWS to invest time to become actively involved in political/management matters that affect natural resources in the province. One commenter clarified the question by adding that involvement would be appropriate when BCTWS supports science-based management, and comments on matters that might affect wildlife. Members predominantly would like to see the BCTWS represent the wildlife professionals of BC by providing expertise to decision-makers regarding wildlife management issues and activities (n=77%), and to be involved in public debate and development of formal position statements on proposed policies, decisions, and actions of government involving wildlife biology and management (n=68%). At the time of the survey, 87% of respondents had read the BCTWS framework that was circulated to membership. Comments were predominantly positive (e.g., “In my view it reflects just what the BC Chapter should be about”, “It was inclusive without being overly-defined.”, and “It is as good or better than other Chapter Frameworks I have seen”) with recommendations that included: “…these sorts of documents should be living documents that can be changed relatively easily to reflect new participants, changing issues, etc.”. When asked how they would prefer to receive communications from the BCTWS, members preferred email (80%) with newsletter attachment (44%), in person at meetings (42%), and social media (37%). Members indicated they would like to receive newsletter delivery quarterly (63%) over monthly (25%). Comments on this topic included: “Communications is a fast-changing discipline and newsletters are fairly old-school and not the most efficient way to connect with members”, a request for an “E-newsletter that doesn't require opening an attachment and is hyperlinked to external content”, and a reminder that some information is better delivered “hands-on”. Interpretation of member thoughts surrounding the use of social media as a communication medium is complicated. Although social media was not identified as a preferred method of information delivery (37% per above), 75% of respondents say they use social media. However, when asked about their preferred social media platform, 33% of respondents said they would prefer to “avoid” social media. Users of social media identified Facebook (50%), Twitter (30%), and Instagram (25%) as their preferred platforms. No members selected a blog/RSS feed as a preferred platform, and only 8% selected LinkedIn as a preference. Responses to member willingness or ability to attend a conference overwhelmingly indicated that conference location (80%) and cost to attend (54%) were driving factors. Workshops and educational opportunities (37%), transportation ease (33%), conference theme (25%), and presentation of paper or poster (20%) followed in importance. Almost 70% of respondents suggested they would be interested in presenting a paper or poster. Other suggestions of topics affecting willingness to attend a conference included: a suggestion to have them be available by webinar, the quality and diversity of the talks, workshops, plenary speakers, and conference themes, and timing that minimizes conflict with field work or student schedules. Respondents did not show a clear preference for whether the conference be held in an urban or rural setting and seemed open to a variety of lodging options (hotel, cabins, university dorms), however they were less interested in camping in tents. Notable suggestions on this topic included alternating from year to year at urban and rural locations, hosting the conference in a central location, and to provide a mechanism (e.g., chapter website) to coordinate room-sharing. Conference theme suggestions were understandably varied, spanning the historical, current, and future of wildlife management in BC, and included ideas from big data to building personal connections. All will be catalogued for consideration of future conferences. Considering field trips, local research efforts (83%) and wildlife viewing opportunities (75%) were the topics members were most interested in. Regarding workshops, members expressed interest in a variety of themes including remote cameras, habitat restoration, animal movement (including telemetry/remote tracking and analyses), quantitative tools for wildlife distribution and abundance (including occupancy modeling and spatial capture-recapture), recent advances in demography, mapping techniques (including open-source GIS, Google Earth Engine), and how wildlife and ecosystem management policy works in BC. When asked what members like least about our organisation, comments included that our chapter is too small, lacks a diversity of people of colour and gender, and that it has not been functioning well in recent years (however they were encouraged by the recent resurgence). They noted that chapter finances are limiting and the difficulties of trying to get things done with volunteers resulting in a lack of events and information updates. It was noted that there is little Canadian content, and that Annual Meetings are almost always in the United States. Additional challenges include the difficulty in separating the mission of the BCTWS from the College of Applied Biology and the apparent complacency of other biologists in not recognizing the value of a group like the TWS. Concerns were expressed that The Wildlife Society attempts to appear apolitical, and that wildlife conservation is a political stance that should be embraced and supported. The fear is that any organisation that attempts to appeal to everyone will eventually lose the interest of all concerned. Additionally, members detect an undercurrent of old school hunting-based management but offer that this isn't necessarily a bad thing if other sides of the issue are also considered. And finally, concern was expressed that The Wildlife Society can be too stuffy and formal with a suggestion to keep it fun and engaging. Regarding what members like about our organization, recurring words and phrases within comments including: community, fun, networking, communication, passion, and opportunities. One person submitted as to why they like our organization: “I often say that without TWS, I may have had the same jobs, but I would NOT have had the same career. I believe TWS is the backbone of our profession, and that wildlifers in BC have much to gain professionally and personally from their involvement.” This comment reflects the desire of the current executive to provide an engaging chapter that will benefit members personally as well as professionally. Again, a big thanks to those of you who took time to provide your thoughts; the current and future executive will keep these points in mind when conducting business on behalf of the members of the British Columbia Chapter of The Wildlife Society. “Hey wildlifers! Emily Sunter here, the new 2018/19 Vice-President of the UBC Okanagan Chapter of The Wildlife Society in Kelowna. I’m half way through my M.Sc. in Biology studying human-carnivore interactions with our chapter's faculty sponsor, Dr. Adam Ford. I wanted to join this club and ran for an executive position to continue my campus involvement. 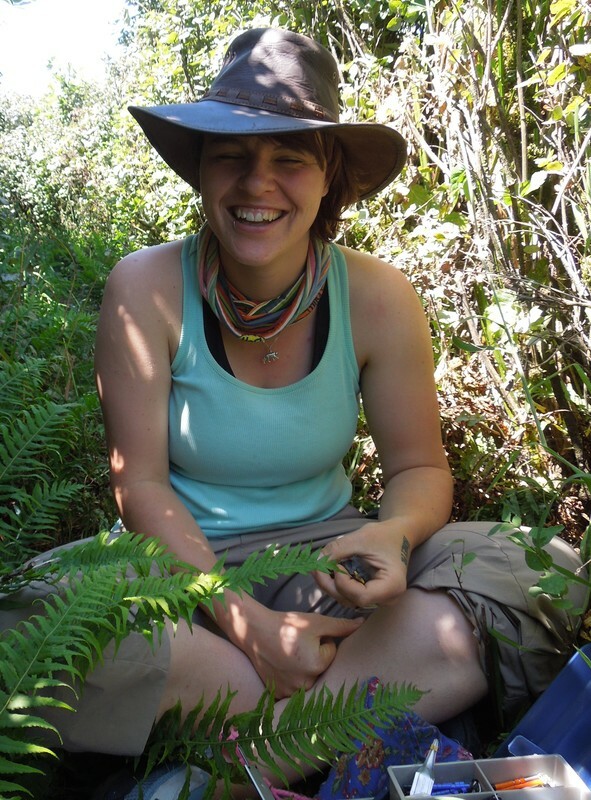 I hope to share my love of wildlife, safe interactions, and getting outside with fellow students on the UBC campus! I’m excited to bring my previous experience in running clubs/events to our awesome chapter of TWS and work with the other Execs to keep you abreast of what’s happening in the world of wildlife! When I'm not thinking about future TWS events, you'll find me daydreaming about my next trip to South America, walking my cat on a leash, or pummeling through my enormous human-bear interactions dataset! If you ever want to talk about volunteering in South America or need a cheerleader for your next attempt to reach out to a professor or employer you've never met, let me know. :) "
​“My name is David Breault. I'm the grad student rep for the UNBC TWS student chapter. I'm studying Pacific marten ecology on Haida Gwaii, and I joined TWS to connect with like-minds. I come from Port Coquitlam originally, near Vancouver, so it took me some time to adjust to the northern lifestyle. My first winter in Prince George I hiked to school and took a crazy carpet down the hill to get home. I went ice fishing and cross-country skiing for the first time. It was all new to me and it all made me feel Canadian in a way I never felt living through the mild, rainy winters of the lower mainland. 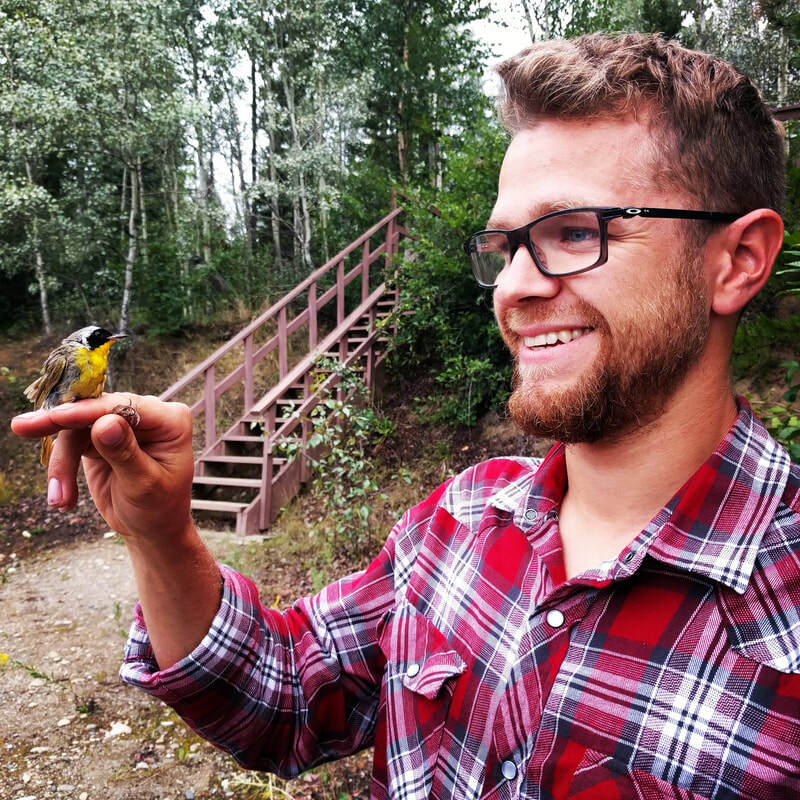 This summer I fell in love with fly fishing for trout and grayling in the cold, clear waters of northern BC, and volunteered at a bird banding station in Mackenzie. I feel like the north is my second home now, and that sense of place comes from the wildlife and the UNBC community.